The Digital Research Library of Illinois History Journal™: The History of Fort Dixon located along the banks of the Rock River in the settlement of Dixon's Ferry, Illinois. The History of Fort Dixon located along the banks of the Rock River in the settlement of Dixon's Ferry, Illinois. 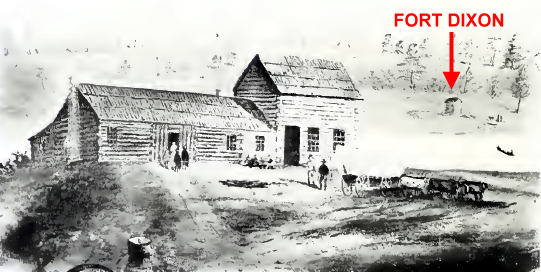 In 1828, a French and Indian half-breed, named Ogee, built a cabin on the present site of Dixon and established Ogee's ferry. In 1829 a post office was located here and an employee of Ogee, was made postmaster. In the spring of 1830, John Dixon, from whom the city takes its name, purchased Ogee's claim and interest in the ferry and on April 11th settled here with his family. The name of the post office was also changed to Dixon's Ferry shortly thereafter. Today's Dixon, Illinois was incorporated on February 10, 1853 and the post office name was changed again. Shortly before the outbreak of the Black Hawk war in 1832, Dixon's Ferry was a quiet, and at times, lonely outpost. But it was the hostilities and confrontations with the white settlers from Black Hawk and his followers that would turn Dixon's Ferry into a major military encampment. While the name was never officially changed, Dixon's Ferry would come to be known as "Fort Dixon." It would be established as the central command post during the early stages of the Black Hawk war. Because of its location relative to Fort Dearborn (Chicago), Fort Armstrong (Rock Island), and Fort Clark (Peoria) was established as General Atkinson's command post. Additionally, the Illinois militia used the ferry to transport troops and supplies across the river. Many notable soldiers served at Fort Dixon, including Abraham Lincoln, Jefferson Davis, Winfield Scott, and Zachary Taylor. Fort Dixon stood until about 1843. In the year 1804 a treaty was entered into at St. Louis between the united tribes of the Sac and Mesquakie (Fox) Indians, on the one part, and the United States, on the other, whereby, for a consideration, the tribes ceded to the latter a large tract of country embracing the Rock River valley and the Village of the Sacs at its mouth. The Indians reserved the right to live and hunt on the ceded lands until the Government should part with its title. These Indians or their ancestors originally had their homes in the neighborhood of Montreal; and although they had been driven from Canada, many of them were still loyal to the British and sided with them in the effort which our Government was putting forth to compel the English to surrender and vacate certain western forts in accordance with the treaty of Paris of September 3, 1783. There are letters from William Henry Harrison Sr., the 9th President of the United States, dated 1807 requiring all settlements to have a small fort or blockhouse constructed. Black Hawk served in the English army in the war of 1812. Moreover, the Sacs were both to abandon their village at the mouth of Rock River; and Black Hawk, though only a brave—not a chief—became the leader of the disaffected element of that tribe known as the "British Band," which, by opposition to removal from the ceded lands, brought on the Black Hawk War. By the Treaty at St. Louis signed on May 13, 1816, the Sacs of Rock River reestablished and confirmed the treaty of 1804. But still the British Band was restive, and depredations on the white settlements continued as before the treaty. Other treaties followed: one in 1822, with the Sacs and Foxes; one in 1824 between the Sacs and Foxes; and one in 1825, in which all the former treaties were recognized. Still the Indians continued to harass the white settlers in ways known only to savagery. In 1828 the President proclaimed certain lands open for settlement and sale. This included Black Hawk's village at the mouth of Rock River. The chiefs and most of the Indians of the two tribes promptly vacated the lands according to treaty, but Black Hawk refused, claiming that when he signed the treaty of 1816 he had been deceived and never knew that his village had been included in its terms. Then commenced a course of marauding and intimidation against the new settlers. Repeated appeals were made to the Governor of the State and, through him, to the United States military authorities. Volunteers and detachments of the regular army finally marched on the village. The Indians escaped, but their homes were burned. Then came the treaty of June 30, 1831, in which it Is recited that "the said British Band of Sac Indians have, in violation of the several treaties entered into between the United States and the Sac and Fox nations in the years 1804. 1816 and 1825, continued to remain upon and to cultivate the lands on Rock River ceded to the United States by said treaties, after said lands had been sold by the United States to individual citizens of Illinois and other States." The band then agrees, by this treaty, to move to their lands west of the Mississippi and never return. Black Hawk and his followers complied with this requirement in apparent good faith, but on the 6th day of April, 1832, defiantly recrossed to the east bank of the Mississippi near the mouth of the lower Iowa, with about 2,000 men, women and children, including about 500 warriors under arms, and thence set out on his march up Rock River. On April 16th Governor Reynolds issued a proclamation, the opening sentences of which were calculated to startle the country: "Fellow Citizens; Your country requires your services. The Indians have assumed a hostile attitude and have invaded the State in violation of the treaty of last summer. The British Band of Sac and other hostile Indians, headed by Black Hawk, are in possession of Rock River country to the great terror of the frontier inhabitants. I consider the settlers on the frontier in imminent danger." As in all other emergencies in our history, men all over the State responded with alacrity. 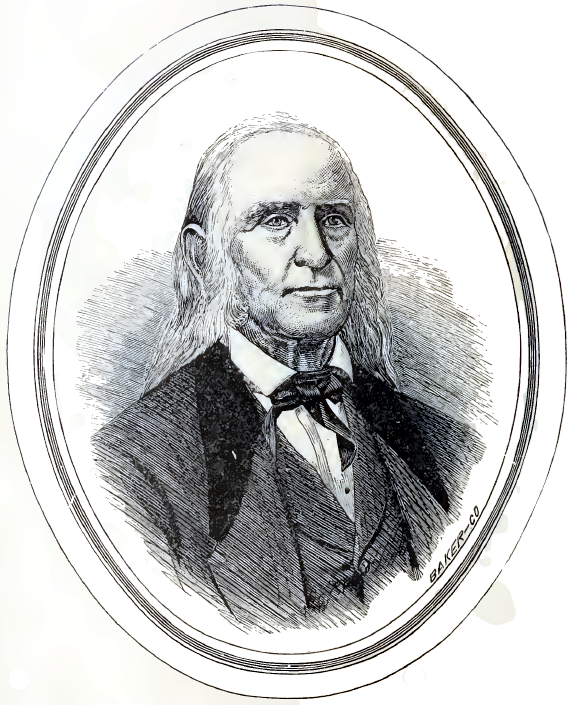 Father Dixon was early advised of the approach of Black Hawk and his followers. He was assured by a leading Winnebago Chief, Pachinka that the Winnebagos held possession of the lands through which Black Hawk would have to pass, and that they would not dare to injure the white friends of his nation, among whom Father Dixon was numbered. Thus it came about that Father Dixon remained at his home when the army of savages passed in May and camped a few hundred yards above the ferry, at a spring which was submerged by the building of the dam. He estimated the force at 600 exclusive of women and children. On May 12, 1832, Governor Reynolds was at Dixon's Ferry with about 1,800 mounted riflemen under command of General Whiteside, awaiting the arrival of General Atkinson's forces of the regular army, coming up the river with army stores and provisions. Immediately after the arrival of the forces. General Whiteside sent a party of four men, with a guide and interpreter under command of Captain John Dement of Dixon (then State Treasurer), to Shabbona's Grove, to warn the friendly Potawatomi chief Shabbona who lived there on a small reservation with his family and a few followers, not to allow Black Hawk to locate on their lands. Losing their way the second day out, they came across four Sac Indians, from whom they learned that Black Hawk was encamped on a stream only a few miles distant, that his people were in starving condition and were going over to Mud Creek to hunt. Just before Captain Dement and his party returned Major Stillman was permitted, contrary to the advice of Father Dixon, to advance up the river and spy out the hostile camp. The locality where they found the foe—or more correctly where the foe found them—has been immortalized by what there happened. The cowardice and unsoldierly bearing of the troops at approach of the redskins stamped the site with the name "Stillman's Run." It is said that many of the soldiers ceased not their running until they reached Dixon's Perry, twenty-five miles distant, or some other place of refuge. Immediately on receipt of the news of the route 1,600 volunteers moved out on forced march, leaving 200 to guard the ferry. On reaching the field they discovered that the main body of the enemy had decamped northward, while small bands had scattered among the settlements to pillage, burn and murder. The loss to Stillman's force was found to be eleven killed. Being out of provisions, the pursuing party was obliged to return to Dixon's Ferry to await the arrival of the boats. By order dated May 22, 1832, General Atkinson made Dixon's Ferry his headquarters and base of operations. At the same time a fort was ordered erected on the north side of the river. The fort was built by Zachary Taylor and his regulars for the purpose of protecting Dixon's ferry during the war and he named it Fort Dixon. 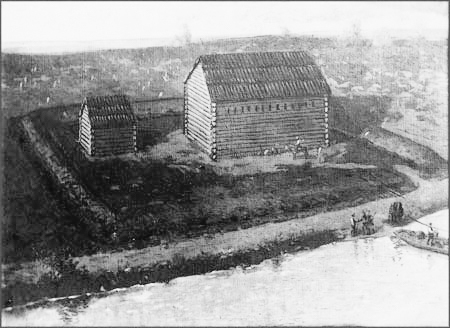 Fort Dixon consisted of two "block" or log buildings within an enclosure. One building was rather longer than wide and at least four times as large as the other. Around it port holes were left through which to fire in case of attack. 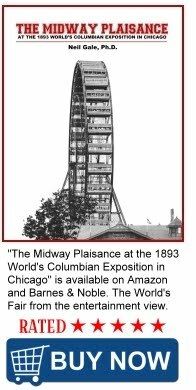 The smaller building was probably a powder magazine. The buildings stood until about 1843. As nearly as can be ascertained, the larger building stood near the line between Lots 3 and 10, Block 54. Around all this, an embankment of earth was thrown about five feet high and covering a square of ground about 500 feet. and abutting on the river bank near the west line of what is now North Galena Avenue. The fort stood about 350 feet north of the present north end of the bridge and about seventy-five feet westward. Great dissatisfaction developed in the volunteer portion of the army among those who were impatient to get back to their neglected fields and other industries. They had been sent on an expedition which brought them to the mouth of Fox River, where they were mustered out May 27th, whither General Atkinson repaired on the 29th. A new levy of 2.000 men had already been ordered, and he urged that 1,000 of the discharged volunteers re-enlist for twenty-day temporary service. Five companies promptly responded, including that of Captain Iles, in which Abraham Lincoln (formerly captain) became a private. Men who were subsequently conspicuous in the affairs of the State were among them: Joseph Gillespie, Pierre Menard, James Semple, John T. Stuart. John Dement, John J. Hardin. It must be remembered that the real war was still to come. Captain Iles, and another company were ordered to Galena by way of Dixon's Ferry, where Col. Zachary Taylor had remained with a few regulars to guard the supplies. Iles, in his book, "Early Life and Times." says that when he reached the Ferry, he camped at a spring a half mile above, and then sought Colonel Taylor on the north side of the river and found him "in a little fort built of prairie sod." He further says, regarding the march. "John Dixon, who kept a house of entertainment here and had sent his family to Galena for safety, joined us and hauled out wallets of corn and grub, which was a great help." The company returning reached Fort Wilbourn, between Peru and LaSalle. June 16th and was there mustered out by Lieutenant Robert Anderson, of Fort Sumter fame, who had mustered it into service twenty days before. Lincoln enlisted a third time and again came to Dixon's Ferry, this time as private in Captain Early's company, which formed a part of the new levy. The headquarters or place of rendezvous of this new army was at the "Rapids of the Illinois." where General Atkinson caused Major John Dement's battalion to be detached to scour the country, and join Colonel Taylor at Dixon, to whom Lieut. Jefferson Davis was acting as aid. It is said of Dement's battalion, that it embraced men who had held nearly every office in the State from Governor down—Dement himself being, at this time. Treasurer of the State. From Dixon the battalion moved on to Kellogg's Grove, where a desperate battle was fought with a band of mounted Indians, stripped to the skin and in their war paint under command of Black Hawk in person. The brunt of the fight fell on the commanding officer and a few as plucky as himself. In the annals of Indian warfare, few engagements of small numbers will be found more desperate and bloody. Without going into details it must be said that no praise can exceed the meed to which Major Dement is entitled for bravery on that occasion. Black Hawk speaks of him in his autobiography thus: "The young chief deserves great praise for his courage and bravery, but fortunately for us his army was not all composed of such brave men." The Quartermaster was ably assisted by John Dixon, who accompanied the army to the end of the campaign. John K. Robinson says, in this connection: "During the Black Hawk War, Father Dixon had the contract for supplying the army with beef up to the final battle of the Bad Axe River," and hence, facetiously gave himself the title of Major of the Steer Battalion. It is understood that the troops, both regular and volunteer, were all mounted. The war closed with the defeat of the Indians at the battle of Bad Axe, Wis., and the surrender of Black Hawk, August 2, 1832. The treaty of peace was signed at Rock Island on the 21st of September following. The troops, then remaining in the service, were mustered out at Dixon's Ferry. The pack horses used in the war were gathered and corralled here, preparatory to being driven further south for sale in more densely settled portions of the State. That portion of the army which marched to Dixon's Ferry from the southeast to take part in the war, crossed Bureau Creek one-half mile southwest of the point where the Illinois Central Railroad now crosses it, near the east line of the county, and marched thence to the point where the residence of Mr. William R. Long stood near the north line of Section 13 in the Town of May, and from there to Rocky Ford, where they crossed Green River. Mr. M. Perkins of Perkins' Grove, near the south line of the county, in LaSalle County, came in 1834 when the evidences of the line of march were plain to be seen. In the course of the war troops of the regular army were brought to the field from St. Louis under General Atkinson, from Fortress Monroe under General Scott, and from Detroit under General Brady, as well as those at Prairie du Chien, Wis., under Lieut-Col. Taylor, and those at Portage, Wis., under Lieut-Col. Culter. To these were added the volunteer militia of the State. Lincoln became well acquainted with Col. Dement in these war days, and though belonging to opposing political parties, each entertained the highest regard for the other, and their friendship was not allowed to wane in after years. After Lincoln had been elected President Mr. Dement called on him at Springfield, and Lincoln, grasping his extended hand in both his, greeted him as "Jack," and expressed his delight at meeting him.